While we travel the country in our RV, our livelihood depends on having good internet service. Here’s is the details of how it is all connected together, and a few tups for how to add the technology in our mobile internet setup to your own motorhome. We have two ways to connect with the internet in our RV. First, we both have iPhone 7’s through T-Mobile. We pay for unlimited internet, so it comes out to $100 a month. The connection is decent most of the time. 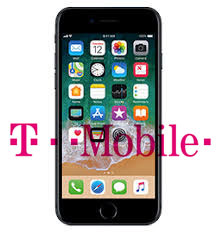 The only major problem with using T-Mobile for anything other than on the phone is the fact that it severely limits tethering. That means that while we use our phones directly, we get a decent speed. When we use it as a hotspot, whether through wifi, bluetooth, or a direct USB connection, the speed is slowed down dramatically. It works fine for browsing and email, but trying to download anything or stream a video is almost impossible. For that reason, we have the hotspot. 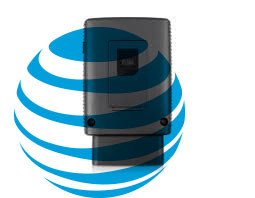 We were able to get a ZTE Mobley while AT&T was still having its $20 a month unlimited plan. With taxes and everything included, it comes to about $23 a month. While it is called “unlimited”, that’s a bit of a stretch. They will never cut us off completely or charge us more, but they do state that they can slow the connection down in high traffic areas or times. “Network Management” is the proper term. That being said, we have never seen a slowdown and we have gone well over the 22GB allowed every month. In one month alone, we broke 300GB and never saw a slowdown. To make that connection better, we have installed a SureCall Fusion2Go 3.0 RV Cell Phone Signal Booster . This boosts the signal from almost nonexistent to useable. For a dBm strength, our highest at one point was -71 dBm, whereas without it, we had only -111 dBm. Also, see our review of the Fusion2Go 3.0 RV. 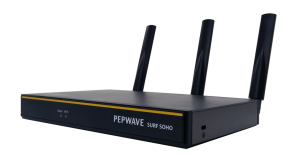 To connect all our devices to each other and to the outside internet, we go through a Pepwave Surf SOHO Mk3. Read our review of the Surf SOHO here. The SOHO has its own wifi network as well as four ethernet ports. The SOHO then connects to either the Mobley over USB or the Winegard ConnecT 2.0 (Review and installation guide here!). The Mobley goes through the cell booster and out to the internet. If that connection goes down, we have campground wifi as our backup, which the ConnecT hooks up with. In this way, all of our devices are connected to one wifi network (the SOHO), and the SOHO then chooses the best outside connection. Right now, we have a very small wired network. I had to run an ethernet cable from the back where the router is all the way up front to where the electronics are in the cabinet. I purchased a used Netgear gigabit router from someone on eBay and have been using it all the time to connect to the Pi’s mostly. In the electronics cabinet, we hav two Pi’s (one running Plex, one running RetroPie) and the TV connected to the switch. I have plans to add other devices as well, but haven’t had the funds to get them yet. Other devices that will be hopefully added to the wired network are another Pi running openHAB or Home Assistant for smart home controls, another one as a OpenMediaVault setup to backup files to the cloud and I will hopefully upgrade our Plex server to something with a bit more power to be able to handle processing video better. I would love to also add a video system eventually with motionEye setup to monitor and record video outside our RV, as well as a NAS to back everything up but have it somewhere else and hidden in the RV so no one can find it without tearing the whole thing apart. Right now, we have two computers that we use almost all the time, one MacBook Pro 15″ and one MacBook Air 13″ . We also have one Fire HD 8 Tablet and a Fire HD 10″ tablet, and two iPhone 7 ‘s. For our media, we have a Raspberry Pi 3 running Raspbian and Plex Media Server which has a 4TB hard drive connected to it. To watch videos from the Plex Pi, we have a Roku Streaming Stick on one TV while the other one is a Smart TV from Samsung with a builtin Roku app. Finally, we have another Raspberry Pi 3 running RetroPie with old games on it so we can play some video games from decades past and live in the nostalgia of our youth. In the future, I would like to build or purchase a small form factor computer that runs Ubuntu to make it our media hub, and it will be connected over ethernet. We also have an Xbox 360 sitting at my sister’s house that I’m hoping to get soon so I can play some newer games. I’m honestly not sure if the Xbox is still at her house or in the trash since her house had a little problem with a hurricane and flood damage and the Xbox may have been a casualty of the rising water. While I’d love to have an Xbox One or PS4, we simply can’t afford that at the moment and with the almost required online all the time factor, they wouldn’t be used much anyway. Because I want to add some more Pi’s for special functions, we also need more fast ethernet ports. I’m going to have to get a new Gigabit ethernet switch for a different area in the RV so I can put more devices in a separate location. I’ll also be adding other devices eventually and connecting it all together as I include things like the smart lights, rain and weather center, and eventually a way to control the heater and AC units remotely. One of the soonest projects I’d like to do is first the Plex/Ubuntu box, followed by the OpenMediaVault setup, and finally the weather station. Seeing as how all of those require things like “money”, it’ll have to wait. I would like to be able to power everything off DC power though instead of having it all run off an inverter, but I’m still working on the details of how to make that work.